Leave a mark from the iron on the clothes of carelessness can even the most experienced hostess. But if the fabric did not have time to form a hole, and the spot has not become rusty brown or bright orange, everything is fixable. 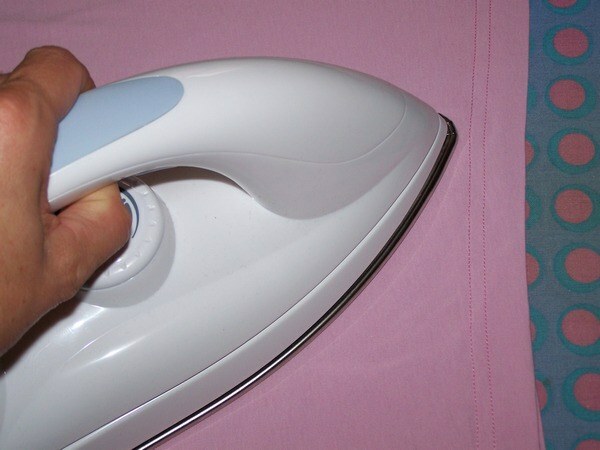 There are many different means to remove traces of iron, which you need to choose depending on the material. The fresher the stain, the more chances to get him out. So do not hesitate, if a nuisance just happened. Determine the kind of fabric and operates in accordance with the instructions for this material and a certain color. If the spot is left on the cotton material of white or light colors, make a weak bleach solution. To do this, take a glass of water and dissolve in it a few drops or one teaspoon lime. Carefully treat trail, and then rinse the clothes. The stain from linen fabric can be removed, soak it overnight in a mixture of yogurt and water. Instead of yogurt can use sour milk, which also helps to create slightly acidic environment, perfectly neutralizing markings. But this method is effective for light fabrics and colours. In the morning wash the thing, and the blur there is nothing left. For coloured articles, of any material, except silk, use the old – fashioned way- bow. Cut the onions in half, put on the spot and severely RUB into it a few minutes. After that, wipe with a damp towel and carefully wash the clothes, otherwise the smell may remain. Coloured products can also be treated with a weak solution of borax (teaspoon in a glass of water), then leave in the sunlight and after drying prewash. With a wool cloth to remove the scorch mark with hydrogen peroxide and ammonia in a 50/50 ratio. Thoroughly rinse the thing with water after treatment. Hydrogen peroxide is also good removes stains from the material, which combines synthetic and cotton. Just moisten with a few drops of the trail and leave the thing in the sun to dry. A trace of iron on the rayon fabric it is best to remove the wine with alcohol, causing material and leaving in the sun for an hour. Then wash the product with water. You can also try to remove the stain from viscose denatured alcohol, but it is not always possible to find the farm. There are several popular ways to bring a trace of iron. For example, sprinkle the stain table salt and then rinse in cold water. You can make a mixture of salt and soda, add a little water to obtain a paste, and RUB into the stain. After drying brush. Or drizzle with lemon juice, wait until it dries and wash it. If the trail is glossy and shiny, mix a solution of vinegar (one part water and two parts vinegar). Soak in it a piece of cotton and apply to the stain. After drying rinse. If none of the methods fails, there is the last option, take the thing to the dry cleaners. Before you take the product, tell us about the spot and the means that were used.